My favorite collection of Etruscan artifacts is at The Metropolitan Museum in NYC - this is my inspiration for this necklace. 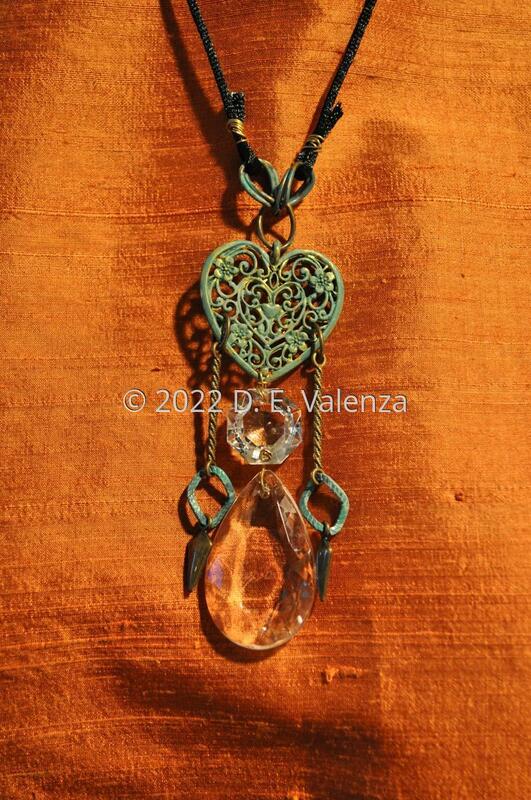 I hand faux finished the metal in the color verdigris- this is the color of oxidized metals. The crystal glass prisms are from an old chandelier. Only made one of these. .Details: self ties,14" black silk like cording, wrapped ends, Lg crystal is 1 1/2" long. Drop from cording is 4 1/2"